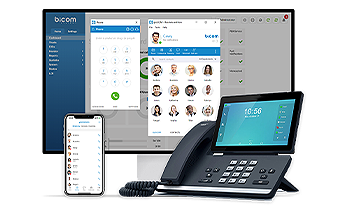 Bicom Systems communication solution is a software suite developed by Bicom Systems, from essentials like PBXware to unified communications apps like gloCOM & gloCOM GO. Comprenhensive, Productive, Effective, Turnkey Solution For Your Business Communication Needs! Highly featured products based on our careful and continuous researches throughout many years. Experience the turn-key solution for the best performance of your system. bespoke solutions for the cost of off-the-shelf. Often solving unique problems. Whether Government, Enterprises, Call Centers, Service Providers or SMBs if you have something that needs a listen, some thought and consideration, please reach out. Experience a higher level in business partnership. Energize your business and become the best. Professional consultations provided by our experts. We'll bring you to the next level of success! At Bicom Systems, we offer both hosted and on-premise solutions for Unified Communications. Our systems are covered with a detailed, comprehensive support documentation designed by our Support Engineers. Get the most on deployments, upgrades, and maintenance. Get the best for your customer needs. Since 2003 Bicom Systems has been researching and integrating innovative Open Source Telephony Projects to commercialize by unifying with its suite of Telecoms Management Softwares. Bicom Systems in the news. Reaching out to resellers, end-users and you. Bicom Systems around the World. Collaboration with students and universities. Success stories of companies that needed better telecommunication service and came to Bicom Systems for help. Access resources that will help you start and grow your own business based on Bicom Systems products. We know how hard it is when you are starting up your own business, this is why Bicom Systems tends to take on a more active role in advisory. Financing you need. Service you deserve. 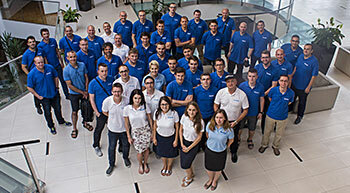 London, United Kingdom (18 January 2019): Bicom Systems is pleased to announce the latest version of PBXware, version 5.2. PBXware is an IP PBX telephony platform that comes in multi-tenant, call center, and business editions. The latest release of PBXware has several new features and a systems update that will benefit not only Bicom Systems customers but their partners as well. The many improvements can be found in the official release notes linked here. Highlighted features can be found below. PBXware version 5.2 added Pipedrive and SuiteCRM to the already wide list of supported CRMs. CRM Routing allows calls to be routed to a specific place based on the information from the CRM. You can set up rules based on the number that is calling and specific levels of priority for the contact. When a call comes in, PBXware will contact the CRM and then based on the results will make a specific action and route the call to the assigned destination. PBXware has always been offered in English. The newest update of PBXware 5.2, has added French to the list of available languages. The Speech-to-Text feature on PBXware 5.2 now supports French, as well as Spanish. ‘Remote Storage’ has been changed to ‘Archiving Storage’ in the PBXware 5.2 update. Customers can now use Google Drive, Dropbox and Amazon S3 for their archiving storage. The search and retrieval feature that associates with archiving storage, makes accessing files more efficiently. PBXware 5.2 now allows users to list concurrent call reports in a graph. They can be listed per tenant or per trunk. The concurrent calls report can detect incoming and outgoing as well as when a caller hangs up early before they enter the queue. You can customize what is included in the statistics report. Download the latest version of PBXware here today or contact your account manager for more information. About Bicom Systems: Bicom Systems is the only unified communications provider with all of the pieces to start and grow a telephony company. 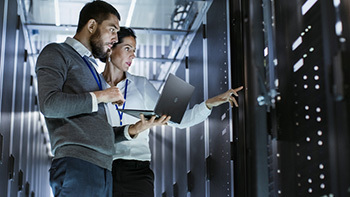 Since 2003, Bicom Systems has deployed flexible, reliable, and scalable New Generation Communication Systems to SMBs, enterprises, and governments worldwide by unifying the most advanced of latest technologies. They offer seven highly-featured products integrated seamlessly to boost sales, growth, and profit. For more information on Bicom Systems, visit their website or contact them at sales@bicomsystems.com today.